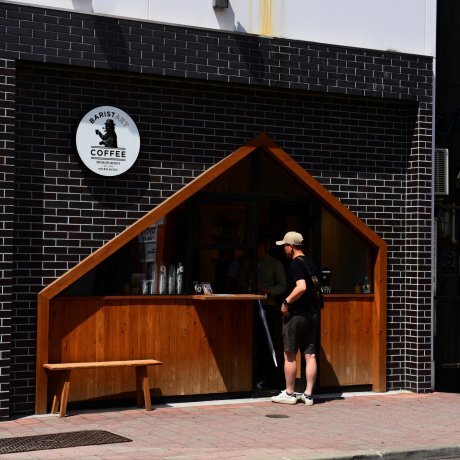 The largest city in Hokkaido has a western flavor with streets running in square blocks that were initially designed by American Horace Capron back in the early 1870's. A short walk from Sapporo Station is Odori Park where there is always something happening. During our summer visit we experienced the Yosakoi Soran Festival with 300 teams comprising 30,000 dancers, competing a minimum of 13 times for a chance to win the title. I interviewed a team from Saitama (Rizon Narukokai Aska). The team consisted of dancers from young children through mature adults. They start practice in early February twice a day until their June performance. The routine is only for five minutes per performance. Although they did not make the finals their performance was filled with passion and energy. The festival takes place during the day and evening over two days. It is difficult not to jump up and start dancing after you have watched a few hours of competition. There are a lot of activities taking place in the park as well as beautiful flower displays everywhere. Not far from the park is the historic former Hokkaido government building. 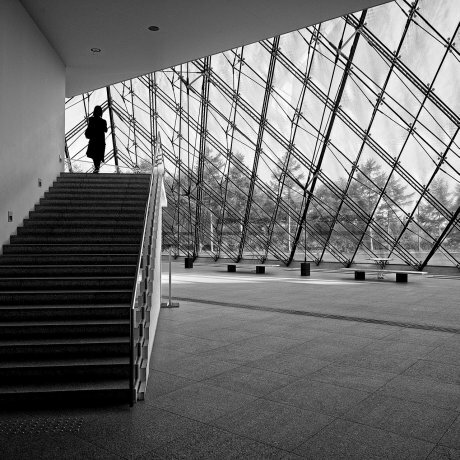 There are exhibits, a museum shop, libraries and it is free to enter. 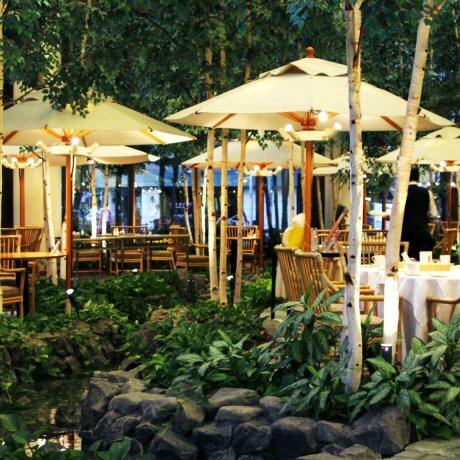 Another location for the Yosakoi Soran Festival is the Sapporo Beer Garden. You can tour the beer museum, join the beer tasting, (there is a fee) and eat mutton (Genghis Khan) at the restaurant. Then you can walk to the stage and watch the dancing competition. 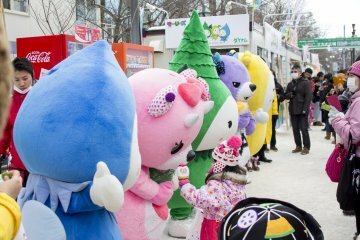 Last winter we returned and joined the Snow Festival at Odori Park, held in early February. This festival began in 1950 with just 6 snow sculptures and is now the largest winter event in Japan with over two and one half million spectators. 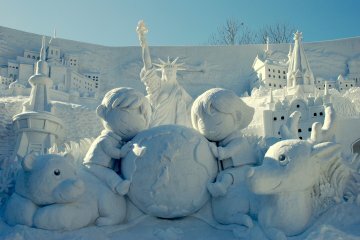 Today there are 200 snow statues located at the park, Tsudome and Susukino. The evening light show at the park alone make this a worthwhile trip. At the far end of Odori Park you will find international ice sculpturing competition. I met some people from Portland, Oregon creating a sculpture that represents their city. One man has participated in this event for over 16 years. An interesting fact: starting in January they bring in 6500 5-ton trucks of snow to create this winter wonderland. There are many activities for all ages including snow boarding, ice-skating, crafts, and of course all types of food. At the international food area I tried my first bowl of Russian borsht and it was outstanding. 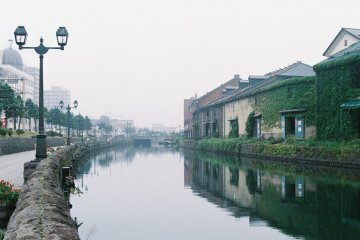 One morning we walked to the fish market and a nearby sake museum, with tasting at the end of our tour. If it gets too cold out for you not far from the park are underground shopping walkways that can get you back to Sapporo station. In early fall we arrived in Sapporo in time for the Sapporo Marathon. This is a 40- kilometer marathon with 10,000 participants from around the world. It is a great for both amateurs and professional runners. We watched the event at Orori Park. It was encouraging to see so many spectators cheering on the runners. At the front end of Ordri Park is Sapporo Tower where you take an elevator to an observation deck for a great view of the city and nearby ski slopes. We have been up during the day and evening, both times were worth the 720 yen admission. Of course there is much more to Sapporo then Odori Park. We hopped on and off the clean and efficient trolleys, rode the ropeway to the top of 531 meter Mt Moiwa for a panoramic view, visited the beautiful botanical garden at Hokkaido University, walked inside the historic Clock Tower, ate Ramen at many local restaurants with several in Ramen Alley at Sapporo station, and discovered the very nice Nakajima Park with a lake, ponds, historic buildings and a concert hall. If you are traveling to Japan make sure you check for special airfares from Tokyo to Sapporo. One visit to this city will not be enough and you will want to come back to experience each season. 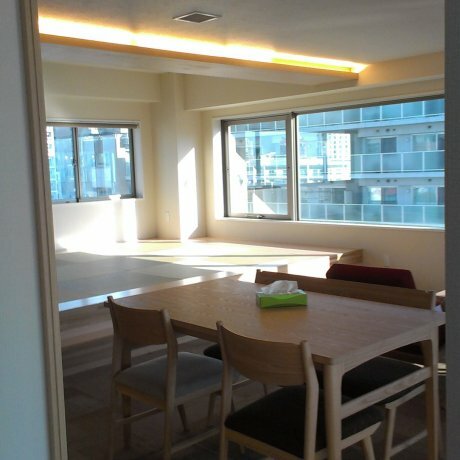 Khaosan Sapporo Family Hostel is a great budget accommodation option offering dorms and privates rooms to guests of all ages. 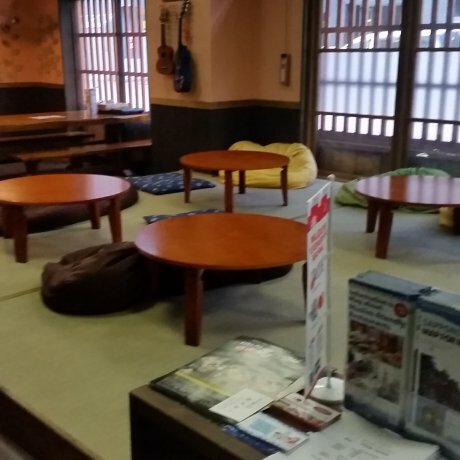 The Stay Sapporo is a new hostel in Sapporo that has everything a budget traveler could need. 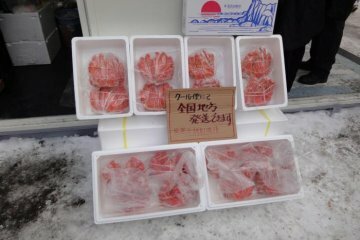 Located near Susukino entertainment.. Enjoy a comfortable stay in Sapporo with Hotel Mystays Premier Sapporo Park. 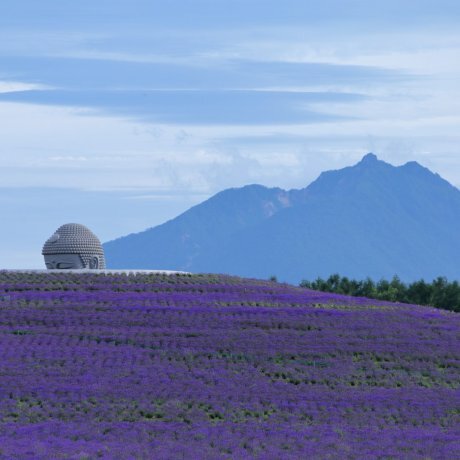 Moerenuma Park is a mix of art and nature. 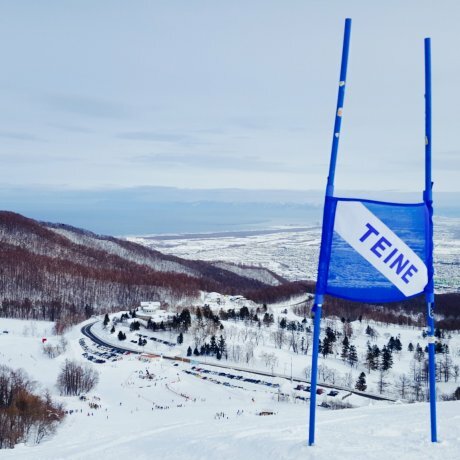 Geometric shapes and wide grass fields make this park a great destination for a peaceful..
Sapporo Teine, the site of the first Olympic Games in Asia, offers great snow, a variety of terrain, and killer views, all with..